It comes as no surprise that Samsung has become the world's top mobile phone maker. With the rapid ccle release of its flagship Galaxy branded phones, it has taken the world by storm and really giving Apple's iPhone a run for their money. 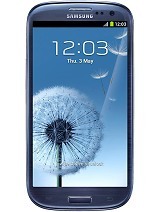 Since the release of the Samsung Galaxy SIII a month ago, it is expected that sales will reach the 10 million magic mark by the end of July. With such a huge demand for the smartphone, Samsung is struggling to keep up with such a demand due to component shortages. It's a good thing and a bad thing. The Samsung Galaxy SIII packs some awesome new features that only the latest high-end Android smartphones have such as a big 4.8-inch screen, eye-recognition technology, enhanced voice command functions similar to iPhone's Siri. The device also features NFC technology that allows sharing of heavy multimedia content among Galaxy SIII users. Samsung overtook the long standing Nokia as the world's biggest mobile-phone maker in 2011 and is currently competing with Apple for the top smartphone maker position. It's a do or die world out there and so both parties are vamping up the competition with the iPhone 5 and Galaxy Note 2 later this year. Samsung aims to double its smartphone sales this year to nearly 200 million devices.